Dr. Arash M. Asil is Proud Preferred Provider of Invisalign® – The clear alternative to braces. Invisalign® is a proven technology designed to give you the smile you’ve always wanted, without the pain and anxiety associated with metal braces. An average Invisalign® course of treatment takes approximately one year. At regular two week intervals, you will receive a new set of custom-molded clear aligners to continue the straightening process. The total number of clear aligners is determined by your dentist and specific to you. Since Invisalign® is practically invisible, there is no unwarranted attention to your mouth. In fact, very few people will notice at all – unless you tell them. The aligners are comfortable to wear and remove easily when you eat, brush, and floss. Invisalign® can be used to treat a vast majority of common problems for adults and teens. Whether your smile needs minor improvements or more extensive adjustments, Invisalign® can certainly help. It is successful in treating overly crowded or widely spaced teeth, while it can also relieve more complex issues including overbites, underbites, and even crossbites. Because Invisalign® uses clear plastic aligners to position and straighten teeth, you can keep your active lifestyle during treatment. Unlike braces, Invisalign® aligners have no metal bands or wires to irritate your mouth. Since Invisalign® is removable, just take the clear aligners out for special events or if you’re going to indulge in a sticky, gooey snack. thanks to Invisalign®. Why not join them? The convenience and ease of use of the Invisalign® system has made it effective in giving hundreds of thousands of people amazing new smiles. No metal wires or bands to irritate your mouth, and best of all, most people won’t notice you’re in treatment. 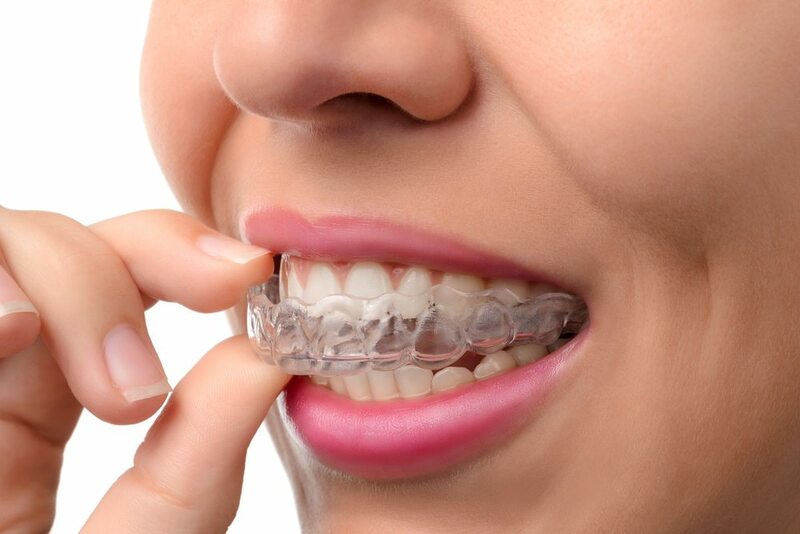 Invisalign®, the clear alternative to braces, has been chosen by over 490,000 people who want amazing smiles. Contact us today at 949-481-2000 to schedule a complimentary Invisalign® consult!